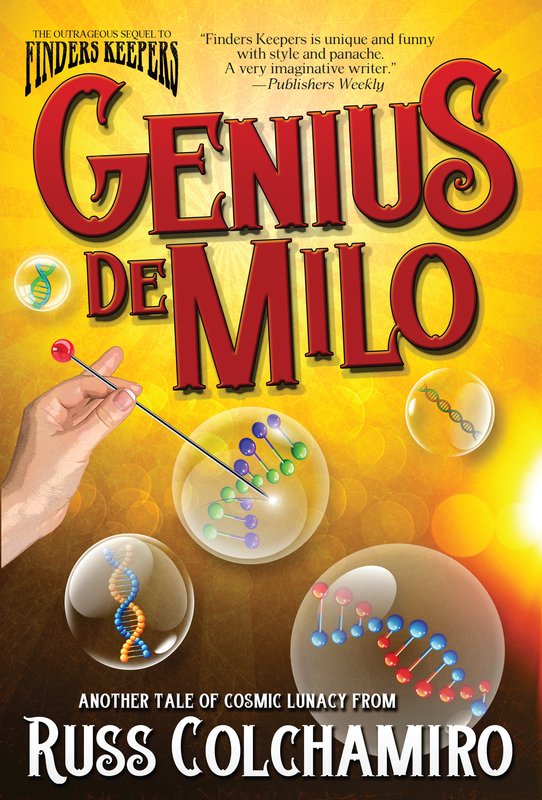 NEW YORK, NY – APRIL 6, 2015 — Crazy 8 Press has once again set author Russ Colchamiro loose upon the Universe with his latest novel, Genius de Milo, the long-anticipated sequel to his sci-fi backpacking comedy Finders Keepers. In the spirit of Midnight Run meets The Hitchhiker’s Guide to the Galaxy, Colchamiro’s bumbling backpackers Jason Medley and Theo Barnes are back again in Genius de Milo, the second book in the trilogy. After barely surviving a tale of cosmic lunacy across Europe, New Zealand, and the backbone of Eternity, they now find that the Earth is fluxing in and out of existence, Theo’s twin girls are teleporting, and Jason can’t tell which version of his life is real. And all because of Milo, the Universe’s ultimate gremlin. Joined by the mysterious Jamie — a down-and-out hotel clerk from Eternity — Jason and Theo reunite on a frantic, cross-country chase across America, praying they can retrieve a radioactive jar that contains the Universe’s DNA, circumvent Milo, and save the Earth from irrevocable disaster. New and returning readers to the Finders Keepers series can jump right in, as Colchamiro wrote Genius de Milo so that it works on three levels: as a satisfying, self-contained novel; as the second novel in the Finders Keepers trilogy that both continues and enhances the overall narrative and individual story arcs; and as a launch pad for the final, forthcoming novel that will conclude the trilogy. Genius de Milo is for fans of authors such as Douglas Adams, Terry Pratchett, and Christopher Moore, and movies and TV shows such as Harold & Kumar Go to White Castle, Bill & Ted’s Excellent Adventure, Hot Tub Time Machine, Time Bandits, Quantum Leap, Northern Exposure, and Third Rock from the Sun. 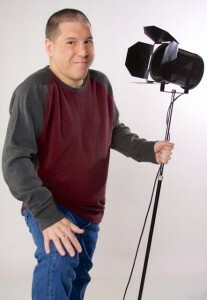 To arrange a book signing or interview, contact Russ Colchamiro at authorduderuss@gmail.com. View the Finders Keepers animated book trailer here. Crazy 8 Press is a team of best-selling, award-winning sci-fi & fantasy authors creating new fiction. A mix of SF/F action, adventure, comedy, mystery, and mythology from Peter David, Michael Jan Friedman, Robert Greenberger, Glenn Hauman, Aaron Rosenberg, Russ Colchamiro, and Paul Kupperberg. For more information visit www.crazy8press.com, and follow them on Twitter @crazy8press. For more on Genius de Milo, Finders Keepers, and Russ’ other books, you can visit www.russcolchamiro.com, follow him on Twitter @AuthorDudeRuss, and ‘like’ his Facebook author page at www.facebook.com/RussColchamiroAuthor.